As the summer comes to an unofficial close with its last long weekend, let us celebrate Labour Day by rededicating ourselves to our goal of improving working conditions for our members and all workers in Canada. Many of us will be marching in Labour Day parades or participating in commemorative events over the long weekend, and as we celebrate the progress and gains we have made for workers over the years, we contemplate the struggles ahead to achieve true social justice and equality for all. We want to take this opportunity to thank our CUPE activists, leaders, and staff across the country, who work tirelessly on behalf of CUPE members every day, improving working conditions and promoting public services that make Canada a better place for everyone. 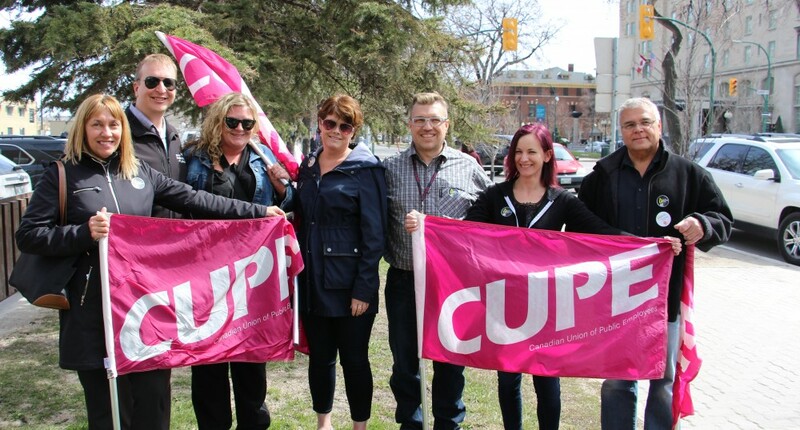 CUPE helps workers through progressive collective bargaining, political activism, mobilizing on important social issues, and building fairness and respect for all. Together, we bargain forward, not back – improving pension plans, wages, benefits and other working conditions for our members. We also encourage workers without a union to join us, so they can benefit from a stronger voice in their workplace, and lead their lives with confidence, benefitting from better job security, and real respect in their workplace. Organizing workplaces is one of the best ways to build a more equal and inclusive society, and CUPE is proud to be Canada’s largest trade union, as we continue to grow, with 650,000 members from coast to coast to coast. While we grow in numbers, we also grow in strength by building links between our members in different sectors and workplaces, and supporting local activists in their work and struggles. 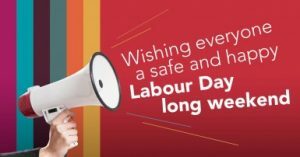 We wish everyone a safe and happy Labour Day long weekend, with time to spend with loved ones and friends, as we celebrate the struggles and gains of the labour movement over the years, while we gather our strength for the work ahead of us. We look forward to seeing many of you as delegates to the upcoming CUPE National Convention in Toronto the first week of October, where we will continue to build on our work together to make CUPE the most progressive and inclusive union in the labour movement.